BIRDS. Bikes. C hoirs. Carnivals. Drumming. Dancing workshops. And that’s just for starters. 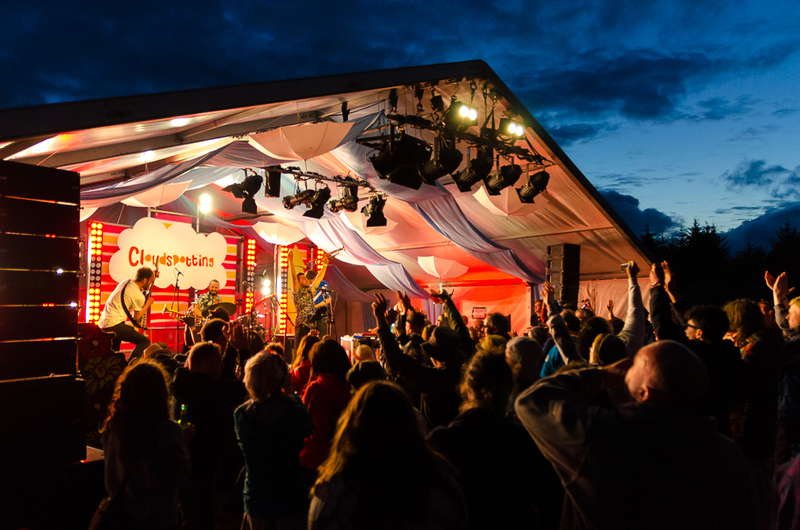 The full arts and music programme for the blooming Cloudspotting Music and Arts Festival has been confirmed, apart from a few late surprises, and a rich programme of magical activities and adventures lies in wait for North West families. 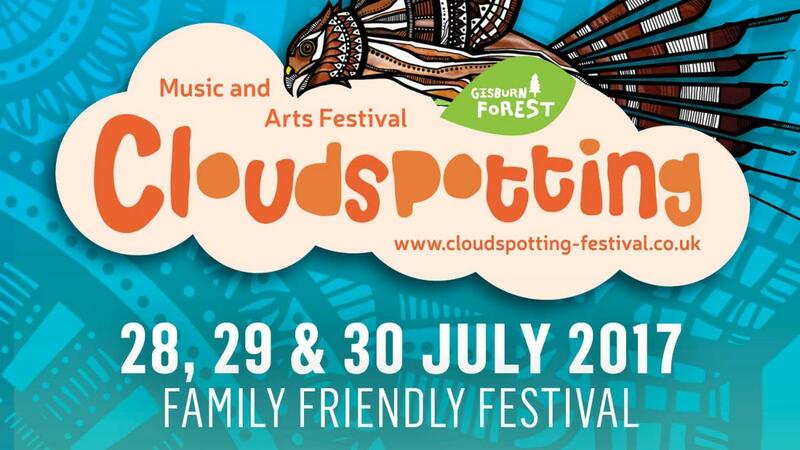 Taking place between July 28th and 30th, Cloudspotting celebrates its 5th year at the fabulous location of the Gisburn Forest hub, situated deep in the Forest of Bowland AONB, 40 miles north of Manchester. The festival was conceived in a Ribble Valley pub beer garden in 2011. Since then, the reputation of the festival has blossomed for its adventurous music programme, family friendliness and magical intimate atmosphere. Its location in the remote clearing of Lancashire’s largest forest is the most unspoiled natural habitat a festival audience could wish for. The live music programme looks strong, eclectic and on point, with a line-up brimming with artists who will be gracing much larger festival stages than Cloudspotting this year. The Friday night features the spectacularly talented Moulettes and will be headlined by the cosmic grooves of Manchester’s cult outfit Henge, whose performance at last year’s festival so entranced its virgin audience that a repeat booking was demanded by attendees. DJ Woody, a world DMC turntablist champion, headlines the Lawn Stage with an alternative live set before playing an AV ‘history of hip-hop’ set later in the night at the Cabin in the Woods. And there lies a beauty of Cloudspotting. The festival offers first consideration to its growing family audience camping in the main field but for the night owls, alternative late-night haunts can be sought out in the forest. The midnight curfew on the main stage means that Cloudspotting has that rare quality of being able to hear the headliners while you curl up in your tent (or drink red wine outside it while minding the kids!). Headlining Saturday night is Congolese poet, composer-lyricist, scriptwriter and performer Baloji for his only northern UK festival performance of the summer. Baloji is an incredible live performer. His music stands at the crossroads of African music, incorporating traditional with soul, jazz and funk influences, discovered through sampling and electronic music which has its roots in the region of Belgium where he has spent much of his upbringing. Other Saturday acts include Gulp, the side project of Guto Pryce of the Super Furry Animals, The Wave Pictures, Jeramiah Ferrari and the dub reggae vibes of Operation Sound System. Cloudspotting Sundays are gloriously chilled days reflected by a more acoustic edge to the music programme. With that in mind, a gaggle of leading female artists on top of their game have been confirmed to star on Sunday – This is The Kit, Jesca Hoop, Holly Macve and Hannah Peel, will all be touring new material this summer. Sharing in the sets of some inspirational musicians is certainly par for the course at Cloudspotting. But the strength of the festival is how the wider programme engages with the family, from early years, to teenagers, to adults. The natural habitat of the Forest of Bowland is a source of great inspiration for the festival’s artistic themes. This year, protection of the native birds of the forest will be celebrated, the endangered Hen Harrier has already had a strong presence in the festival’s promotional artwork, and a series of linked interactive activities produced in association with the RSPB will take place over the weekend. F or festival goers who like to get stuck in, there is a raft of interactive arts on offer. Performing arts workshops include the 6-hour ‘Play-in-a-day’ session, where participants will write, act and present a stage play on the Sunday; dance workshops, from clogging to Can Can; song-writing and drumming. Creative Arts are also in abundance with long-time partners The Bureau, Blackburn leading a programme including forest arts, photography and science-based activities. More passive attendees – especially those with young families – will be entertained by some award-winning outdoor theatre, courtesy of Fine Chisel, who will be performing ‘Flit, Flap and Fly’, and Madam Bridget’s Caravan of Curiosity (world famous fortune teller and tea leaf reader! ), which will be presented by association with the Northern Festivals Network. 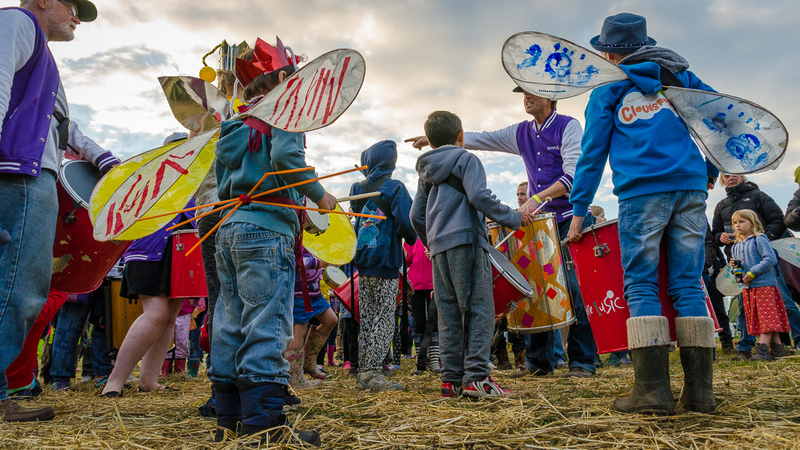 Story-telling sessions, interactive music sessions, art installations, and walking trails (including ‘The Gruffalo’ trail) and circus school are just a portion of the programme that can be researched on the festival’s website (www.cloudspotting-festival.co.uk). In addition to all the arts and cultural activity, Gisburn Forest is also a UK hotspot for mountain biking. Bike hire is available and other organised leisure pursuits include orienteering, a family sports day (Saturday), with the Lancashire Sports Partnership, and yoga. Teenagers are well catered for too with a secret youth zone in the forest with activities such as DJ workshops, beat-boxing and graffiti arts. Cloudspotting camp opens from 12 noon on Friday, July 28th – 12 noon on Monday, July 31st.